Honorable Education Minister with Guest of Fourth Convocation in DIU Permanent Campus. Some Graduate of Third Convocation in BICC. Honorable Chancellor with Guest of Third Convocation. Some Graduate of fourth convocation in DIU Permanent Campus. Graduate wait for entering the Convocation hall of third Convocation. 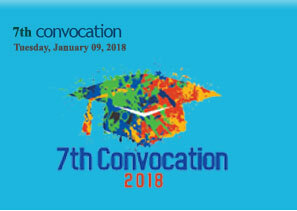 Some Graduate of fifth convocation in DIU Permanent Campus.